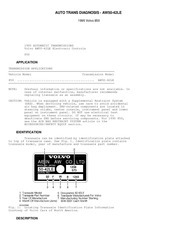 Ce document au format PDF 1.6 a été généré par PScript5.dll Version 5.2.2 / Bullzip PDF Printer / www.bullzip.com / Freeware Edition (not registered), et a été envoyé sur fichier-pdf.fr le 02/01/2017 à 21:13, depuis l'adresse IP 88.163.x.x. La présente page de téléchargement du fichier a été vue 1233 fois. Taille du document: 389 Mo (7372 pages). Courtesy of AMERICAN HONDA MOTOR CO., INC.
accidentally deploy and cause damage or injuries. connectors), always disconnect the SRS connector. cause accidental deployment and possible injury. Do not put objects on the front passenger's airbag. The original radio and navigation system have a coded theft protection circuit. for the radio's preset stations before disconnecting the battery negative cable. navigation code, then enter the customer's audio presets, and set the clock. Do not disassemble the cable reel. Do not apply grease to the cable reel. example, if it does not rotate smoothly, replace the cable reel. deployed, it cannot be repaired or reused. 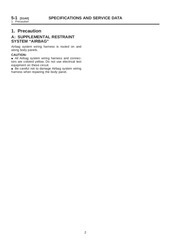 Refer to the scrapping procedures for disposal of a damaged airbag. inflator (A), a flexible bag (B), an adapter pipe (C), and a center bracket (D). handle the flexible bag (B) or the adapter pipe (C). after the ignition switch is turned OFF. impact sensors. Replace all damaged parts. models), and front passenger's weight sensors. or disconnecting the connectors from the SRS unit. SRS connectors can be identified by their yellow color. Observe the instructions. damage in SRS wiring or terminals, replace the harness. problems that are difficult to diagnose. of the connector, and do not tamper with the connector. could cause an error in inspection due to poor metal-to-metal contact. sure to pull on the sleeve and not on the connector. the spring-loaded sleeve locks the connector. sure to pull on the sleeve and not on the connector half. of the sleeve-side connector clicks. Do not use the special tool if it is damaged. need to be opened when diagnosis is performed on the circuit. specified cavities when it is necessary to keep the circuit open for diagnosis. must remove the retainer to insert the tester probe from the wire side. terminals will stay locked in the connector housing. are different, make sure you install only the correct replacement parts. Do not repair a torn or frayed seat-back cover. Replace the seat-back cover. with new parts. If the seat-back cushion is split, it must be replaced. If the seatback frame is deformed, it must be replaced. and wait at least 3 minutes before beginning the following procedures. seat belt tensioner 4P connectors (4, 5). 1. Disconnect the battery negative cable, and wait at least 3 minutes. driver's airbag 4P connector (B) from the cable reel. connector (A) from the dashboard wire harness. 4. Disconnect both side airbag 2P connectors (A) from the floor wire harness. 5. Remove the headliner (see HEADLINER REMOVAL/INSTALLATION ). 8. Remove the side trim panel. 9. Remove the middle cross-member gusset. 11. Remove the center console and front panel. unit connector C from the SRS unit. 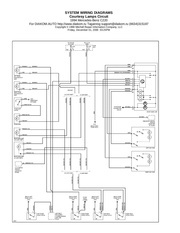 troubleshooting, this data can be retrieved via a data link circuit. The data is stored in memory as a diagnostic trouble code (DTC). repaired and the DTC is cleared. 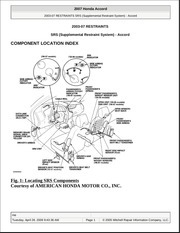 retrieve a more detailed DTC in the Honda Systems &quot;SRS&quot; menu. deploy and cause damage or injuries. curtain airbag connectors, and both seat belt tensioner connectors. measuring values won't be correct. 1. Make sure the ignition switch is OFF. 2. Connect the HDS to the DLC (A). Use the HDS to check for DTCs. Read and record the DTC. Turn the ignition switch OFF, and wait for 10 seconds. 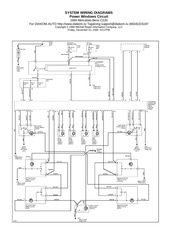 Do the troubleshooting procedure for the DTC. 5. Turn the ignition switch OFF, and wait for 10 seconds. 6. Disconnect the HDS from the DLC. To erase the DTC(s) from the SRS unit, use the HDS, or the following procedure. 2. Connect the SCS service connector (A) to the yellow MES 2P connector (B). Do not use a jumper wire. MES connector (2P) within 4 seconds after the indicator comes on. MES connector (2P) within 4 seconds. 8. Turn the ignition switch OFF, and wait for 10 seconds. seconds, and then goes off, the system is OK.
initialize the OPDS/ODS by following the procedure. OPDS sensor can cause DTC 85-71.
position, and make sure there is nothing on the seat. 3. Make sure the ignition switch is OFF and the MES connector is not shorted. 4. Connect the HDS to the DLC (A). 5. Turn the ignition switch ON (II). 7. Turn the ignition switch OFF. 1. Read the DTC (see &quot;Reading the DTC&quot;). 4. The SRS indicator comes on for about 6 seconds and then go off. 6. If you can't duplicate the intermittent failure, the system is OK at this time. Make sure all optional parts such as seat covers are removed. Make sure nothing is on or under the front passenger's seat. Perform all calibration procedures except test driving in the service bay. Keep the A/C and the heater off. Do not touch the front passenger's seat until you drive the vehicle. recliner to the most forward position. Do not move from these positions. prompts until the initialization operation has been completed. Ce fichier a été mis en ligne par un utilisateur du site. Identifiant unique du document: 00478291.